Q: I am looking for a jacket to liven up my office outfit, which I can wear to the Christmas party and on Christmas Day, too. I don’t want to spend too much. Can you help? 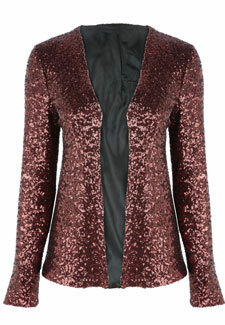 A: I love this sequin jacket from the F+F Limited Edition Collection Tesco. At £30 and also has a matching dress, also £30. This is a great style that will never date and looks glamorous worn with a dress and can also jazz up your favourite jeans. If your local store doesn’t stock it, you can order it online.